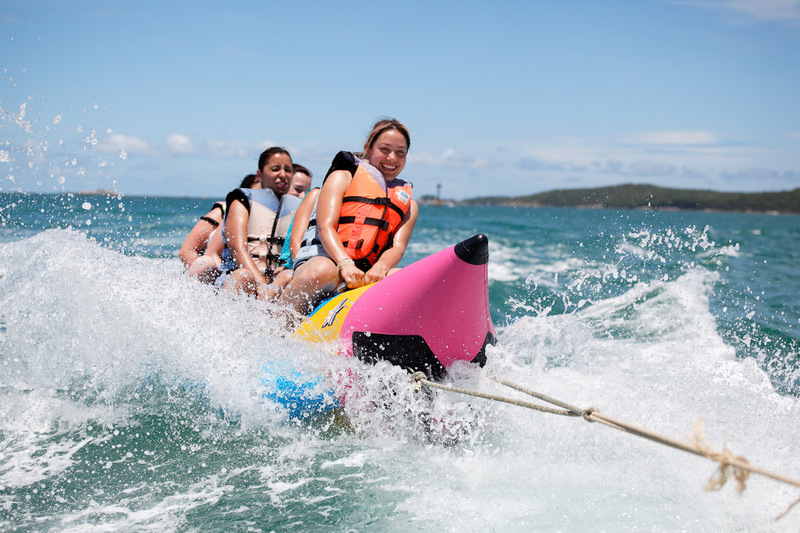 Have fun and challenge yourself with adventure water sports in Da Nang. You won’t regret it! Da Nang is not only a dynamic coastal city in central Vietnam but also a favorite city of many domestic and international tourists. Check out Eleanor’s article to truly understand what there is to know about this beautiful city. 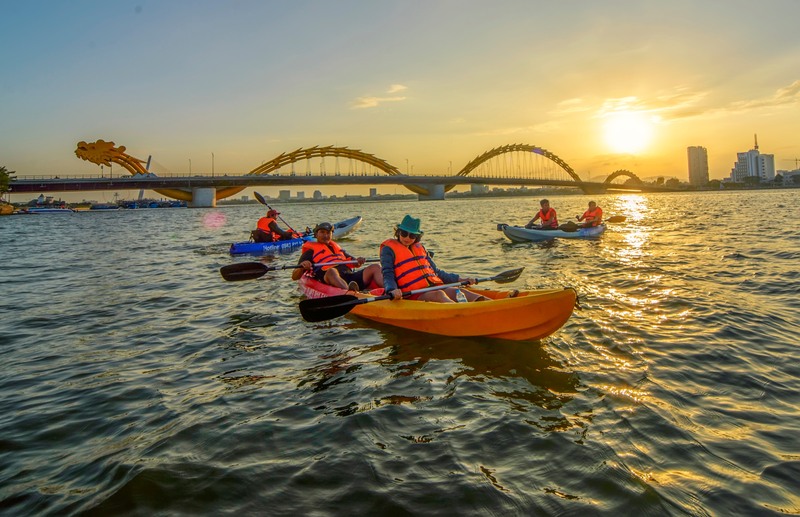 Besides tourist attractions and popular activities in big cities, Da Nang is also famous for its abundance of water sports in a beautiful setting. You will definitely have a fun time on the water as the lady Buddha watches over you. 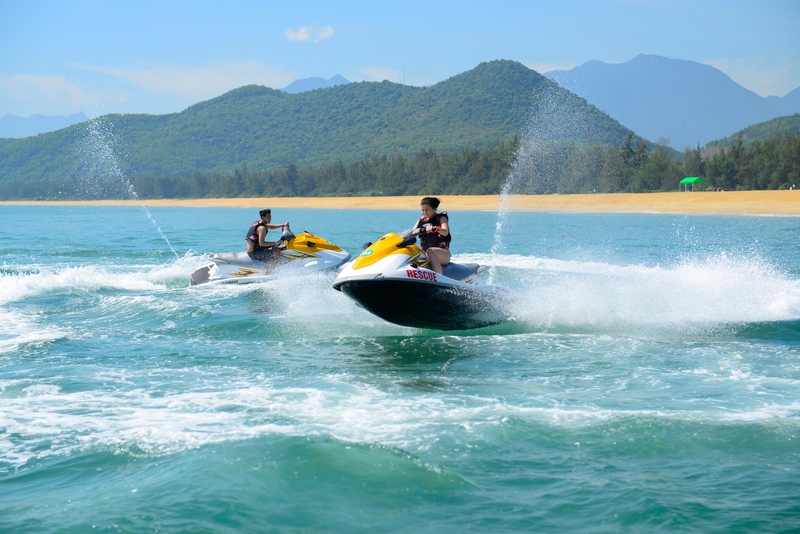 I compiled all the detailed information about water sports in Da Nang in this article. Keep reading and choose your favorite sports. Despite not being a big diving destination like Nha Trang or Phu Quoc, you can still find diving centers and beautiful spots in Da Nang to satisfy your underwater hobby. Son Tra Peninsula and Cham Island are the two most beautiful and suitable diving destinations. Although Cham Island is situated in Hoi An, it only takes 30 minutes by car and 15 minutes by speedboat to get from Da Nang to the island. There are two reliable diving centers one in Da Nang, and one in Hoi An that service these two areas. Da Nang Scuba is a sister company to IDC Training Vietnam, a long-standing diving center in the country. All the divers and trainers of Da Nang Scuba have lots of experience and the necessary licenses. Many courses are offered for different level divers. If you haven’t dived before, there is a “Discover Scuba Diving” course that will teach you the necessary diving skills to explore the ocean world under the direct supervision of a PADI Professional. The course takes one day with confined water training and one or two open water dives at Son Tra Beach. The price is 75 USD or 100 USD. If you want to get a license to be a PADI Scuba Diver, you only need to take a three-day course. Study online or in a classroom, then take two practice days on Son Tra Beach, or on both Son Tra Beach and Cham Island. The price is 260 USD or 320 USD depending on what you choose. There are also many other courses for experienced divers in Da Nang Scuba. You can also rent scuba gear and equipment here as well. Visit their website for more detailed information. Located in Hoi An, Cham Island Diving Center provides great tours and courses about diving and snorkeling on this beautiful island. The beginner dive tours for those who have never dived before and don’t need a license are comparable to Da Nang Scuba beginner tours. The one-day tour price is 78 USD. To get a PADI license, you will need to take a three-day course for 340 USD. If you are an experienced diver, there are many tours for you to choose from, you can even choose to stay out for two nights on Cham Island. 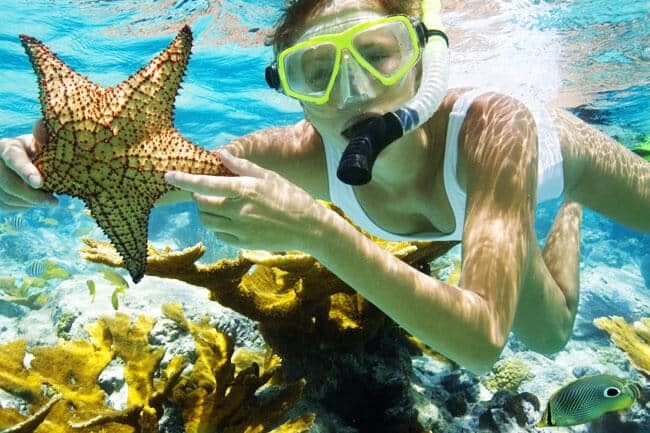 If you are not confident enough for a scuba diving tour, snorkeling is your best option. The one-day tour costs 48 USD and the two-day tour costs 87 USD. Check out their website to truly understand their services. Sea trekking is suitable for almost everyone, for non-swimmers and non-divers from 8 to 80 years old. 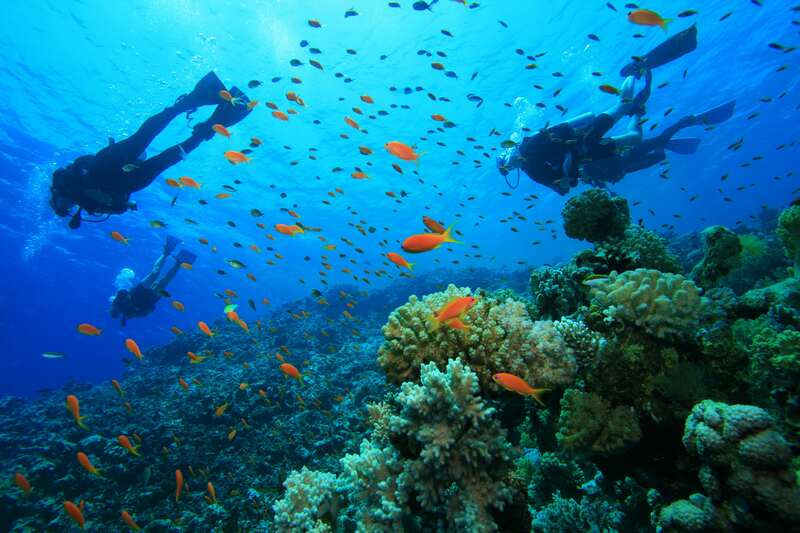 When you join a sea trek tour, you will wear a diving helmet and walk underwater! The marvelous marine life and schools of colorful fish surround you as you take a stroll under the water. You can even touch fish on the ocean floor. 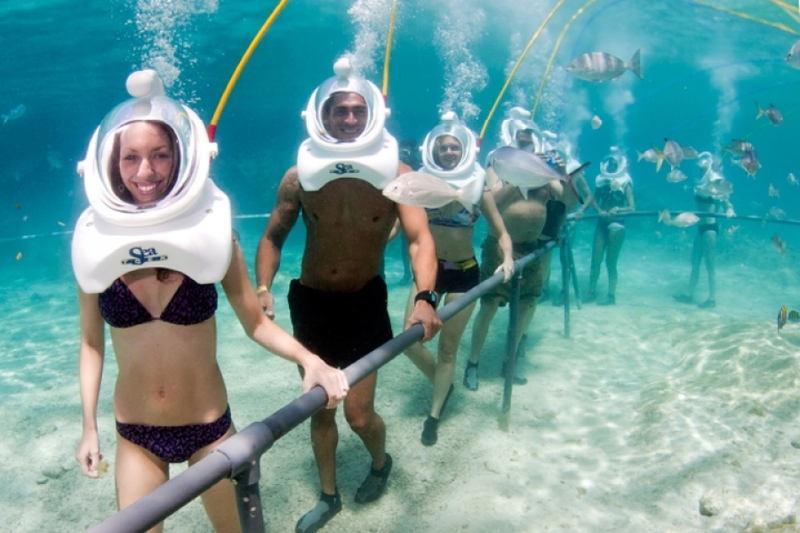 This tour is organized by Sea Trek, a branch of the largest underwater walking company in the world. This tour happens on Cham Island (I want to reiterate that this is 30 minutes away from Da Nang), one of the sites with the most diverse marine life in Vietnam. Snorkeling, lunch on Bai Chong Beach, and roundtrip hotel transfer from Da Nang are included in the tour. If you like to take photos and videos during the sea trek, the guide can provide this service for an extra fee. With 63 USD, you can have a really cool experience without breaking the bank. Check out their website to watch thrilling videos about sea trekking on Cham Island. Parasailing is one of the most thrilling water sports in the world. You will be towed behind a speedboat while attached to a parachute. While flying above the sea at a height of 70 to 100 meters, you can have a panoramic view of the vast blue sea below, feel the strong ocean breeze through your hair, and scream as loud as possible. When the parachute lands on the sea, you will fall into the water. But don’t worry! You will be wearing a life jacket and the water is never too cold in Da Nang. The time for one round is between 15 and 20 minutes. The maximum capacity is two people and this sport is suitable for many ages. 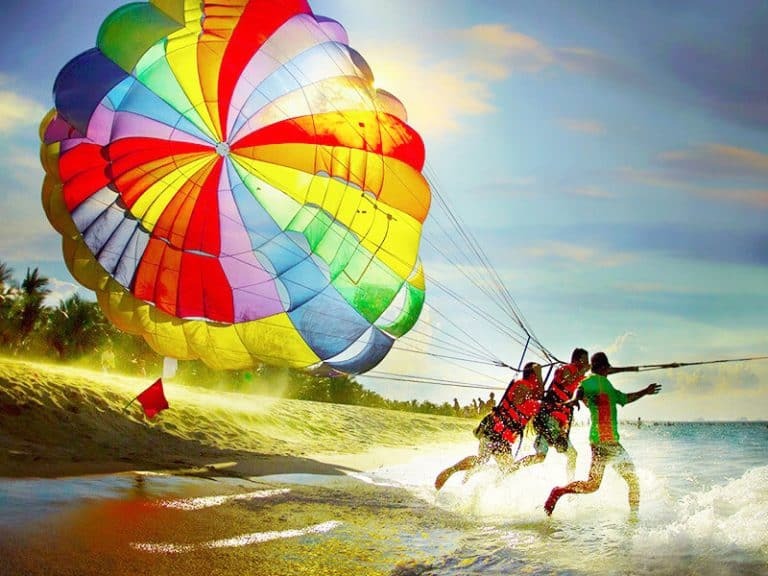 One round of parasailing costs 500,000 VND for one person and 800,000 VND for two people. 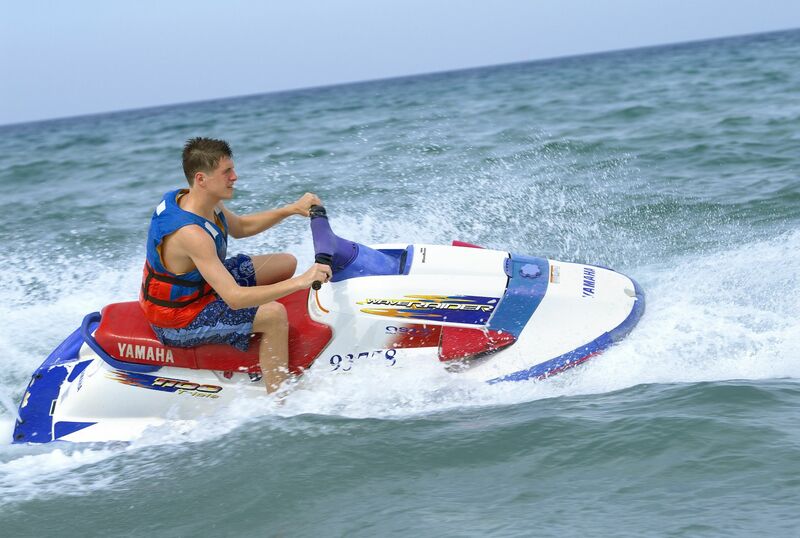 Jet Skiing is a water sport suitable for those who like thrill and speed. The staff will guide you on how to drive the jet ski on the sea. With this sport, you will have the opportunity to conquer the waves of the vast ocean with a speed of 70 to 80 kilometers per hour. One or two people can drive a jet ski for 10, 20, or 30 minutes with a price starting at 500,000 VND. When the speed boat drags the Banana Boat Ride into the sea and the speed is increased gradually, the feeling of bobbing and surfing on the waves is unforgettable. Up to five people can join this float of fun. Therefore, this water sport is highly team-based. When the speed boat makes sharp turns, you and your team must coordinate your movements to maintain balance. This activity only lasts 15 minutes and costs 950,000 VND. When wakeboarding, you will surf the sea behind a fast boat as you admire Da Nang from afar. The wakeboard is not like a surfboard however; it’s small, narrow, and rectangular in shape. This sport is quite easy and does not require too much effort. Just learn a few simple techniques from the guide and you are ready to play! The more participants, the more fun you will have. Up to four people can join this sport at one time. It takes 30 minutes to one hour with the price ranging from 1,200,000 VND to 2,000,000 VND. Speedboat rental is suitable for those who like to have a private boat. Exploring the pristine coastline on your own is absolutely awesome! The speedboat capacity is up to 16 people. 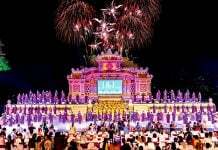 The price is 3,000,000 VND for one hour which also includes a driver. All water sports above can easily be found on public beaches and on the coastline of luxury resorts. If you want to reference more specific tour operators, I also have two reliable companies which are highly recommended. 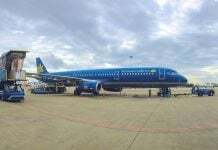 Due to the weather and the ocean in the area, Da Nang does not have big waves like some famous spots in the world like Bali or Hawaii. However, there are average waves in Da Nang that still satisfy your surfing hobby, especially if you are just learning. If you are a beginner surfer, don’t worry! There are surf schools in Da Nang that will teach you how to surf the right way. These places also have surfboard rentals so experts can enjoy the sea on their own time. Also be aware that the time of year will severely affect the size of the waves. In general terms, the winter months will see bigger waves but this is also not the best time to enjoy all that Da Nang has to offer. Da Nang Surf School has both surf and stand up paddle (SUP) lessons. Every session is about 90 minutes. All the equipment is also included. The price is 60 USD for two to four people and 100 USD for one person. There are also many types of surfboards and paddleboards for rent. The rental price is 10 USD to 15 USD per hour and 20 USD to 30 USD for three hours. Check out their website for more information. Da Nang Outdoor Adventures is another famous tour operator specializing in both surfing and kayaking. You can have a private surf tour, or combine surfing with kayaking and snorkeling. Lessons and rentals are also available. With different options, you will have the best time figuring out just what you want. Check out their website for more detailed information. Besides, windsurfing and kitesurfing are also available in Da Nang. Temple Da Nang, the tour operator I mentioned above, organizes these water sports. Contact them and you can take part in these breathtaking sports as you enjoy time on the beach. 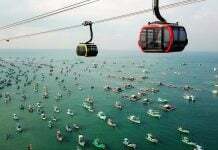 Your journey to Da Nang will be full of thrills with all the water sports above. Make sure to check this article again before you travel to Da Nang! Keep reading other articles on our blog about these fun water sports around Vietnam.